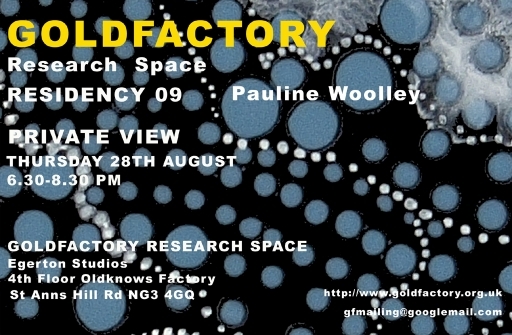 As a studio-less artist in desperate need of room to reacquaint myself with paint, physician The Goldfactory Research Space was a golden (excuse the pun) opportunity to be handed. I had four weeks to focus and create anything I desired in a very large, health well-lit studio space with around the clock access. The big bonus for me was the fact I was nestled in a studio group where I actually got to talk to other practicing artists. Imagine that! Having been isolated for such a long time making work on the kitchen table at home it was so stimulating for me to talk art and for me to be artistically exposed in what felt like a very supportive environment. The flip side was that I got to see what they were all creating as well. If I can put myself in the position of an artist with a studio space (what a lovely dream) I can imagine that the Research Space would be equally and highly as beneficial. For them it would be a change of studio scene for four weeks with the use of a very big space to try and test new creative things out. This is something as artists we don’t always do when we feel the pressure to produce ‘finished’ work for exhibitions or other projects. Four weeks to experiment without the nagging feeling of delivering highly polished work is such a luxury. The outcome of this is that it can then point your work in a direction you hadn’t thought about before. This has certainly been the case for me.